Product colors shown are representative & should be taken as a guide only. 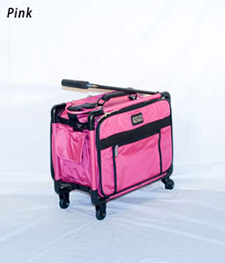 Tutto Sewing Machine On Wheels™ 17" - Fits under most airplane seat. Perfect for sewers, quilters, and designers etc. One year manufacturer warranty for material and workmanship defects.